We all have a little bit of organizing divas inside of ourselves that want our homes, offices and special spaces to be organized and cuuuuuute! We want a place for everything to live that will be convenient and make our work more efficient, all while looking fabulous…right?!? Can I get a big AMEN??? Well, ladies and gents…problem solved. The brilliant Becky from UCreate is making our organizational dreams come true with this Room Organizer that is utterly genius! 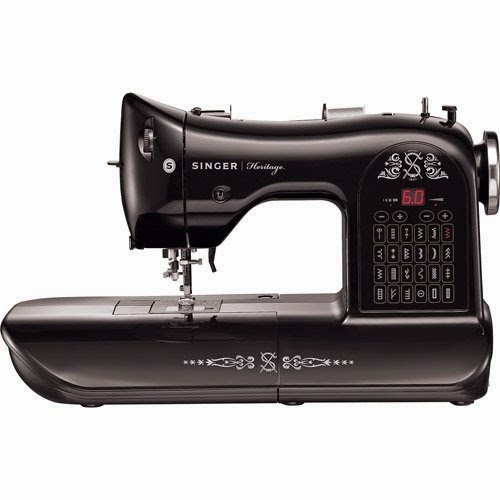 But wait, that’s not all…at the end of this great post is a huge, huge, huge GIVEAWAY for a brand new Vintage Sewing Machine AND a $250.00 gift certificate to The Ribbon Retreat! What???? Oh, ya…it’s all true! Enjooooooy and make sure you get entered for your chance to win, win, WIN! Hey all, this is Becky from U Create. It’s so fun to be a part of this awesome “Back to School” series for The Ribbon Retreat. I was given the letter “U”…ya know, for U Create! So, I came up with this Undergrad Dorm Room Organizer. Basically, you can use it for any room, any home, in any stage of life…but humor me for the sake of using the letter “U”. Step 3: Pin it into place and sew a line 1/8 inch from the edge of each side of the trim. Like the photo below. Step 44: Making great corners just takes practice. I have no magic solution for this. I just cut the corner straight across and fold it to the corner of the front background. Then fold the binding over like I explained above. Step 50: I got some grommets and installed them per package instructions. It took 5 minutes tops! I put one on each side, but I think three would look cool, too. Totally a matter of taste on that one. The Ribbon Retreat and U Create bring you a giveaway like no other. 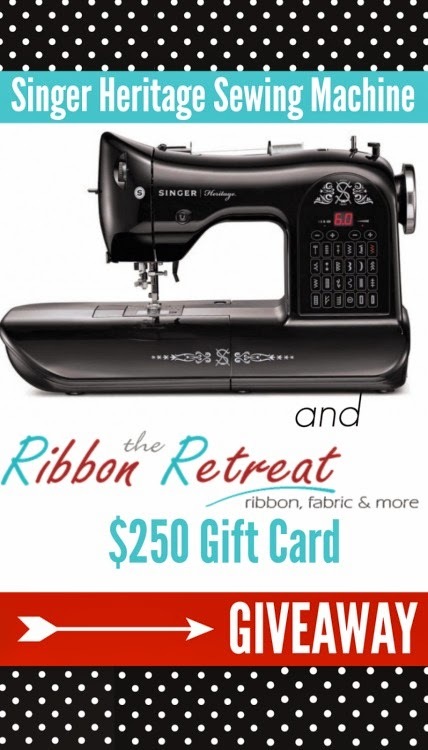 Win this gorgeous, amazing sewing machine and a $250 Gift Card to The Ribbon Retreat!! Just hop on over HERE to see how it threads itself, one-touch stitching, and so much more! TO ENTER: Follow these simple instructions! Thank you Becky for this great project and for teaming up with us on the AMAZING giveaway! Make sure to head over and say hello to Becky and her awesome sister at their incredible blog UCreate! What is your best organizing tip or trick? Happy Creating & Happy Organizing and GIVEAWAYS! This entry was posted in Back to School, For The Home, Giveaways and Events, Holiday & Seasonal. Bookmark the permalink. Post a comment or leave a trackback: Trackback URL. I love this craft organizer. Very trendy. I need one exactly like that one. Another great idea I can make for when my grandson goes to college this winter. Thanks for coming up with this great organizer.